When selling your property you need an agent who has the skill and knowledge to position your home properly. Proper positioning in the local market is key but exposure to the national and global arenas is also an important factor in offering your listing to the highest number of potential buyers. 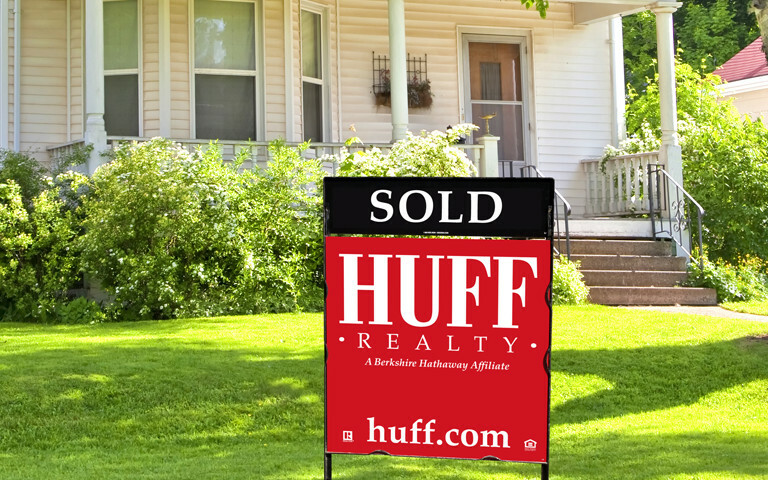 Your HUFF Realty agent is well versed in the skills necessary to position your home in front of qualified buyers. Your agent’s local marketing expertise combined with HUFF Realty’s national and global connections will provide the proper exposure for your listing. Since 1975 HUFF Realty has been a respected and well known name in the Tri-State. 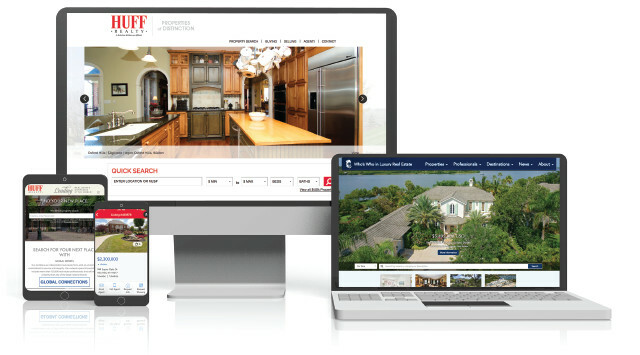 A strong HUFF brand representing service, leadership, and integrity, combined with the resources of hundreds of local HUFF Associates enhances our ability to deliver the superior technology and comprehensive customer services that connect buyers to your listing. We strive to deliver a superior customer experience that is streamlined and efficient. HUFF Realty has developed a strategy that integrates all the pieces of the real estate transaction puzzle—including mortgage, title, insurance, warranty, and relocation into a suite of services that work together. Within THE SELLING PROCESS there are many ideas, decisions and procedures you need to know about. At HUFF Realty, we have hundreds of thousands of hours helping sellers market homes, negotiate contracts, tackle home inspections and make it to the closing table. Agent technology that brings buyers to the table faster. HUFF Associates certainly strengthen relationships in person, but to maintain them they utilize technology too. Whether for staying in contact with past clients, engaging high-value leads or marketing, HUFF Associates have access to the latest in real estate technology to stay ahead of the competition. Our technology team ensures that our associates are able to do business anytime, anywhere. Not only will your property be accessible on HUFF.com, it will be posted to all local broker sites, the local MLS, as well as national portals such as Zillow, Trulia, Realtor.com, and over 800 other sites. All HUFF Realty Associates have access to the full-time marketing and social media teams who are ready to assist with developing promotional materials and social campaigns across multiple platforms. Connected to thousands of agents and their buyers. HUFF Realty is part of HomeServices of America, Inc., the second largest independent residential real estate brokerage firm in the United States. HUFF’s affiliation with this family of real estate companies across the United States allows us to provide the innovative products and integrated services needed to ensure an unparalleled customer experience throughout all aspects of the home transaction process. "Berkshire Hathaway One of the World’s Most Respected Companies"
HUFF Realty's affiliation with Berkshire Hathaway strengthens our position for our clients. We are proud to be part of one of the most respected companies in the world and proud of the contributions from our HUFF Realty Associates. Position your property among the finest in the world. In addition to the strong local marketing expertise HUFF delivers locally, we have the resources you need to gain global exposure to market your property to the highest possible number of potential buyers. Our global affiliations allow us to position your property for maximum exposure to a network of agents, brokers, and potential buyers world-wide. As a Fortune 500 area, it is important not only to market your property on the local and national levels, but also on the global scale to take full advantage of relocation opportunities. As a member of Who’s Who in Luxury Real Estate™, a compendium of the finest residential real estate firms from around the globe, HUFF Realty connects your listing to an international network of Brokers and agents in more than 60 countries representing the finest residential real estate in the world. Your property will be listed among the finest luxury listings in the world on LuxuryRealEstate.com, the most searched luxury website on all major search engine platforms. Marketing your property to the world. We bring you the power of our worldwide invitation-only network, Leading Real Estate Companies of the World™. As a global organization, LeadingRE connects tens of thousands of buyers and sellers every year. When we post your property locally, it is automatically promoted on the LeadingRE.com website. It is also immediately connected to the websites of over 550 affiliated real estate firms in the world. � 2019 Reliance Network and Huff Realty. All rights reserved. U.S. Reg. Copyright TX-5-910-991, TX-5-910-992, TX-5-910-993, and TX-5-910-994. Equal Housing Opportunity.